Save up to 80% on pre-owned Allied Autovent 3000™ ventilators. 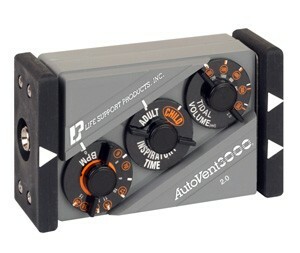 The Autovent3000™ is designed for the EMS industries and Emergency/Disaster Prep Kits. The size and weight of the unit lends itself to portability. The ease of operation and connection allow a quick training time. This unit meets ventilator needs from inter and intra hospital transports to sophisticated air rescue.